Acupuncture and Chinese Medicine are now available in Moloka’i - one place for every Body. These ancient healing arts can address all your health concerns from pain relief to internal medical issues. Let us stimulate your natural healing - restoring your health and balance. Experience our expertise and let us guide you on your healing path. Click on the above buttons to find out more about us. Visit us at our wonderful new location at 40 Ala Malama Street upstairs, Suite 206, in the American Savings Bank building in downtown Kaunakakai on Moloka’i. Make your stay a healing experience. “I just wanted to take a moment to thank you for our recent trip to your center on September 5th. My wife and I discovered your center on our last trip to Molokai. We were just looking for a massage to help with sore muscles from travel and missing my Posturpedic bed. We were delighted to find Michele behind the front desk and offering some very good suggestions for the both of us. My wife Debbie decided to try acupuncture...and she was surprised at how incredibly relaxing it was for her. If you would have talked to her afterwards, you would have asked her to share the “good drugs” she was on! I mean this in a good way....she just kept commenting on how good she felt and how relaxed she felt...basically she was in heaven. As an afternote, I don’t think she has experienced a migraine since she left there. Michele you made her day! My massage with Heather was awesome...and very relaxing...she was very patient and even half-way listened to my ramblings. 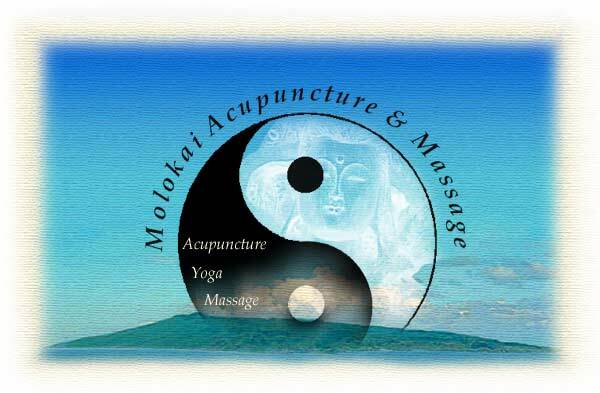 Contact us at molokaiwellness@gmail.com or 808-553-3930 for your treatments.